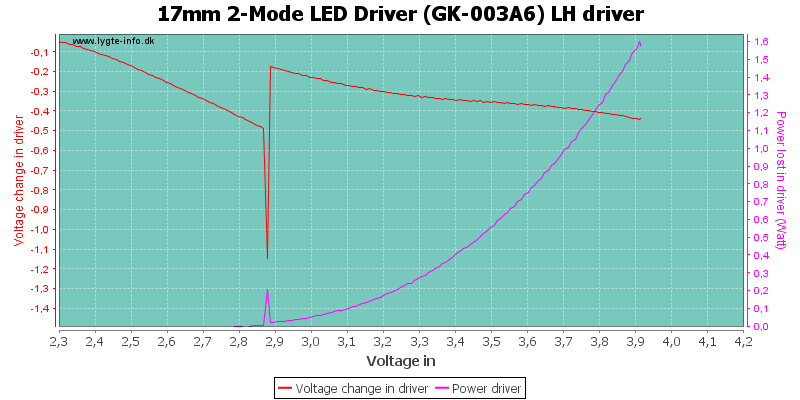 Driver changes mode with each turn on. 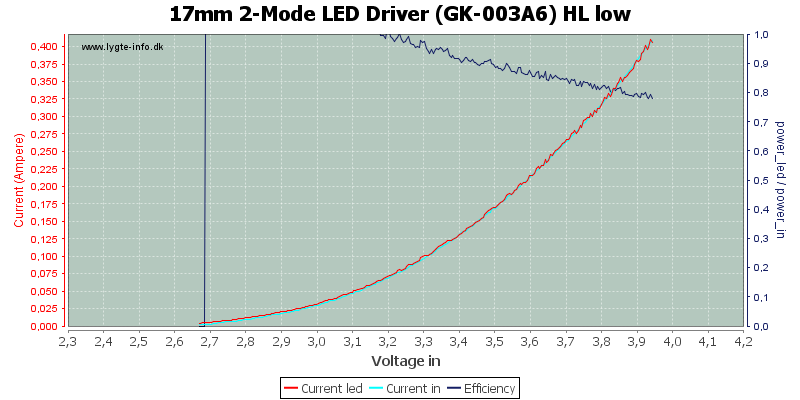 Low is with pwm at 207Hz and 17% duty cycle. 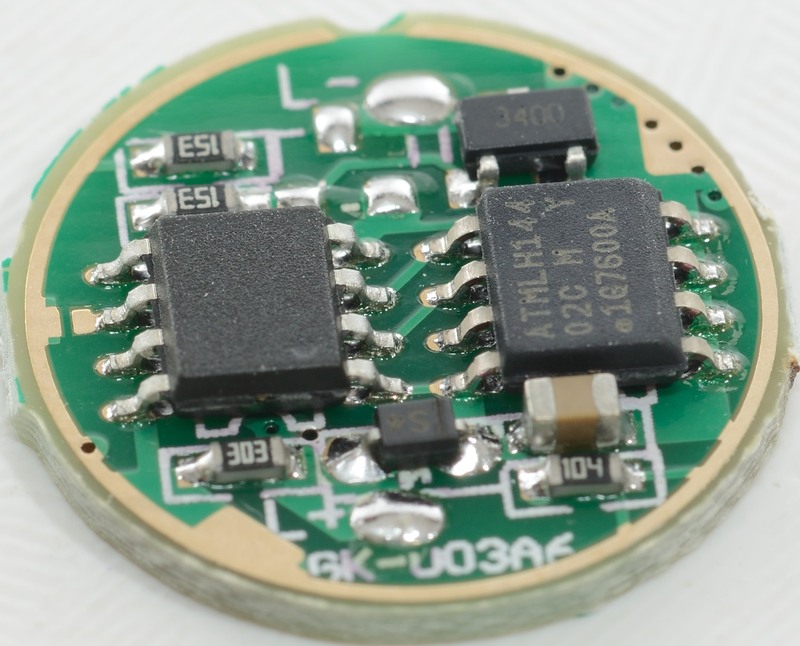 DC resistance in driver is about 0.18 ohm at 2A (Measured directly at the driver pcb). 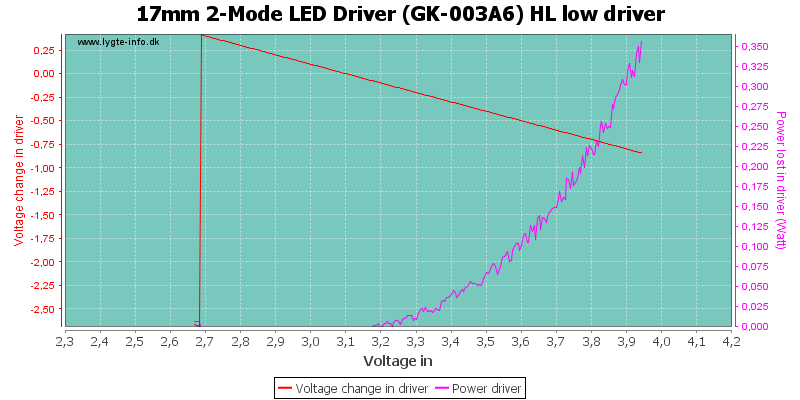 This driver is only a direct drive driver, i.e. it is only a switch with a bit of resistance in. 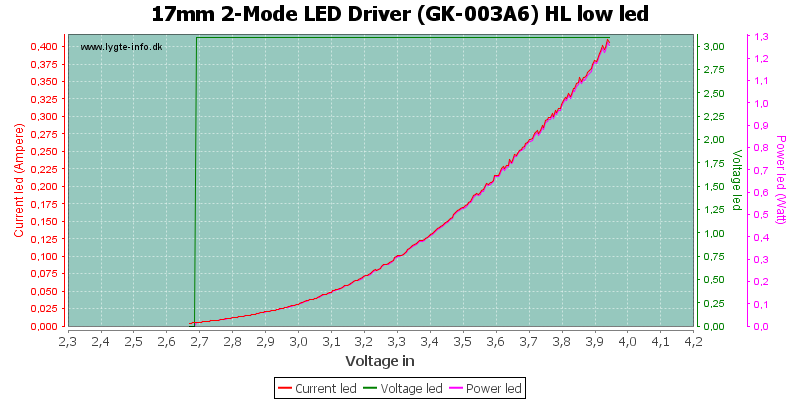 This means that the input and led current is the same (The curves are on top of each other) and the voltage/current curve will be very close to the led voltage/current curve. 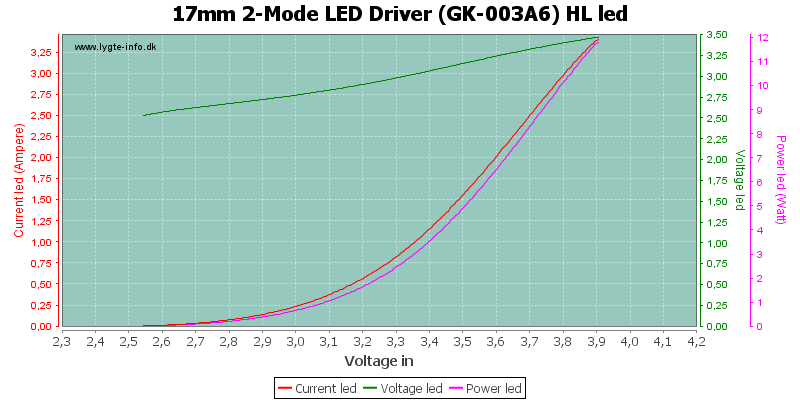 I did not test higher than 3.9 volt, because the led is specified for 3A and I passed that at 3.9 volt (Most LiIon batteries will be below 3.9 volt when loaded with 3A. 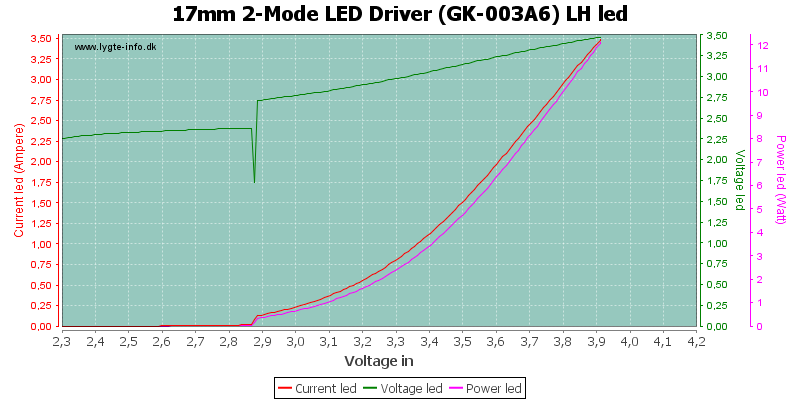 See my comparator for actual data). 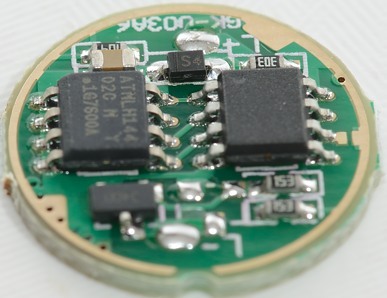 I cannot see any traces of a low voltage protection, but the led by itself will to a large degree protect the battery. 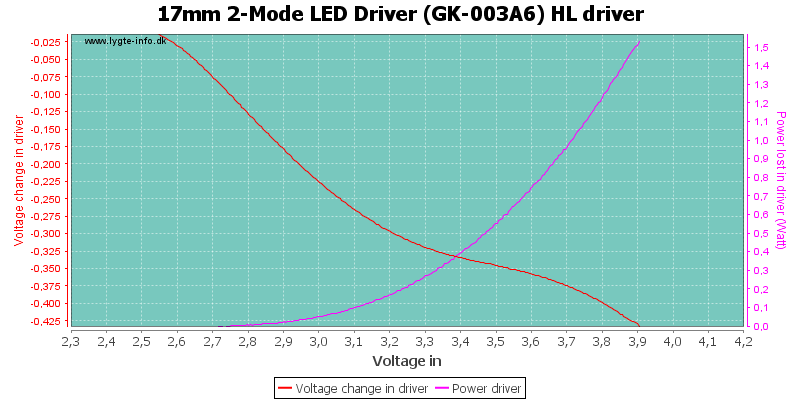 Starting from a low voltage, shows that the driver starts at around 2.9 volt. 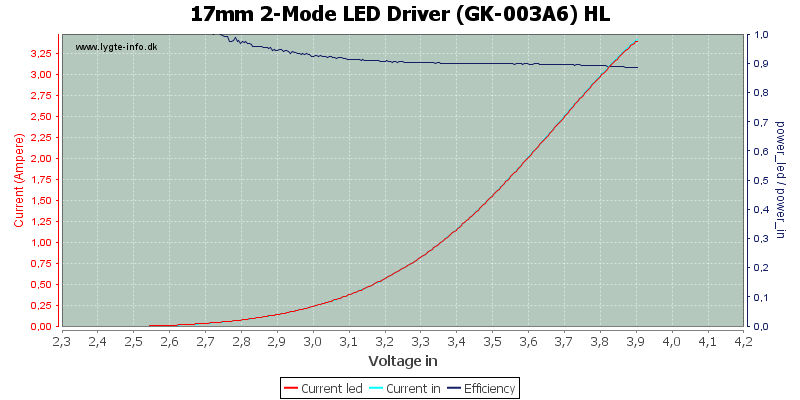 The average current goes down when the led is switches on/off at a fast rate. The actual pwm frequency is about 207 Hz (The dip in the pulses is due to my power supply, not the driver). 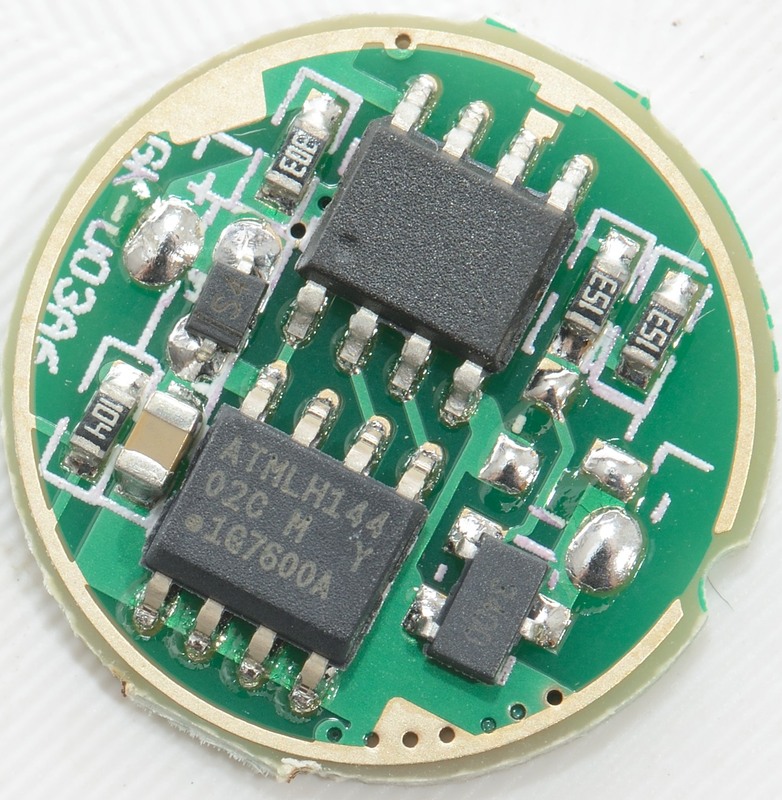 This is a simple driver with limited applications, i.e. 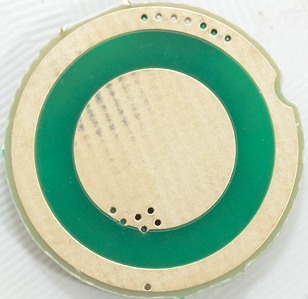 only LiIon batteries and led must be suitable for direct drive. I wonder why the driver has two IC's, it is probably a microprocessor and a EEPROM (For remembering mode), but why use an external EEPROM when most microprocessors has one build in.